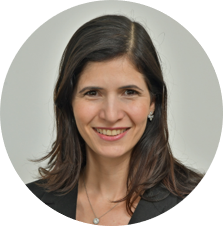 Suzanne Glazer is an advisor at Cambridge Advisors to Family Enterprise, a highly specialized international advisory firm serving family enterprises. Cambridge Advisors and Cambridge Institute for Family Enterprise, an education and research institute, are divisions of Cambridge Family Enterprise Group, a global organization founded in 1989. It is devoted to helping families achieve multigenerational success for their families, enterprises, and financial wealth. Ms. Glazer advises individuals in the family enterprise system to develop effective and inspiring career and life plans and, more broadly, to help individuals be successful in all dimensions of their lives. Ms. Glazer takes a holistic view of one’s life by understanding their dreams and goals, relationships, resources, and motivations. Assessments are used (both in-person and online) as appropriate to gain a deeper understanding of one’s personality, and career and life interests. Ms. Glazer partners with each family member to create a development plan that targets their own unique strengths and challenges. For the past eleven years, she has worked at the Harvard Business School. Most recently, she was the director, executive coaching and community values liaison for executive education. In that role, she aimed to create an environment where executive education participants from around the globe learned together in an environment signified by respect, honesty, integrity, and personal responsibility. In that role, Ms. Glazer designed the coaching curriculum and supporting materials, recruited talented executive coaches, and trained them to provide both facilitation and individual coaching to over 1,600 executive education participants annually. Prior to working with executive education participants at the Harvard Business School, Ms. Glazer was the School’s Learning and Development Specialist, focused on serving the learning and career development needs of all 800 staff members. Before joining the Business School, Ms. Glazer was an organizational development consultant at several firms including Watson Wyatt, Hunt Associates, where she co-developed The Coaching Manager Assessment™, and Linkage, Incorporated. She also spent several years in the hospitality industry where she focused on service strategy. Ms. Glazer holds a M.A. in Organizational Psychology from Teacher’s College, Columbia University and a B.A. in Cultural Anthropology from Connecticut College. She is a graduate of the New Ventures West Professional Coaching Program and the Mindfulness-Based Stress Reduction teacher training program at the University of Massachusetts Medical School. She is a certified Riso-Hudson Enneagram Teacher, and is certified in several assessment instruments.